I felt incredibly strong today, and had a great ride. Joerg and I decided that we would ride on our own if we split up, and we were in our own groups for the entire day. We finished with a time of 4:50, and have moved up to 121 overall! Pulled a few of Matt’s shots from the Magic Places Facebook site – first one is Joerg at the finish, and second is the switchback tunnels. What an imposing change of landscape and culture? Stage 5 shows impressively the changeableness of the TOUR Transalp. At the bottom of the Dolomites this stage leads to the land of the Prosecco-vines alongside the south-flanks of the Alps. With the remarkable peaks of Pale di San Martino in the back the route goes flatly through the Primiero Valley into the canyon of the Val Schener. Soon the climb via little mountain villages starts in order to reach Passo Croce d’Aune on 1.011 meters height. From here the route guides downwards passing Pedavena until Feltre. 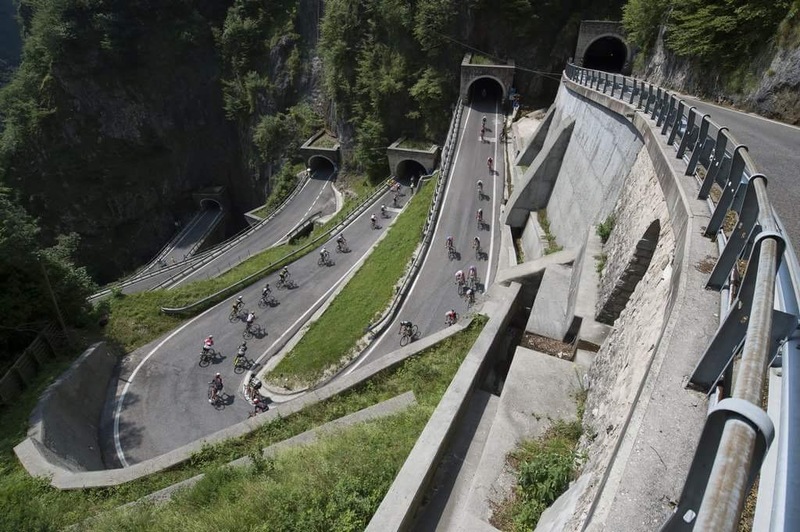 Here the bike can be easily rolled a few kilometers along the south side of the Dolomiti Bellunesi (300 meters height) with direction Belluno. Now you ride over the kilometer-wide, natural brook bed of the river Piave, which marked the border at which the Austrian-Hungarian army could not get any further in the First World War. Yet there is little time for thoughts about the unpleasant chapters in history of the province Belluno, because only the little Passo San Boldo (708 meters) lies between the Alps and the Apline foothills, crested with wine grapes. As unspectacular this pass seems to be with its gentle climb on the north side, as extravagant emerges the downhill ride on the southern side. In the first serpentines, which could not be narrower, the curves are wrapped in tunnels and only the straight parts are outdoors. Looking back this reveals a comical view. After the arrival in Val Marino the route leads alongside the southern hills to the prosecco-capital Valdobbiadine in order to cross the Piave once again at the east side of the Monte Grappa. Now on Monte Grappa’s west side the climb up to the Monte Tomba is waiting on small, enchanted side roads, followed by a serpentined downhill ride to Possagno. 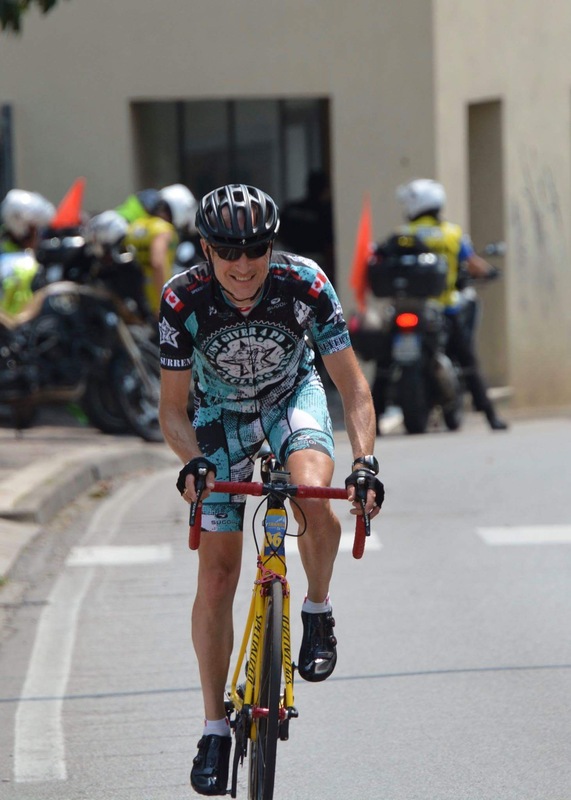 Only few kilometers are left until the finish line in Crespano is reached.